Summary: Royal Challengers Bangalore won the toss and elected to field. 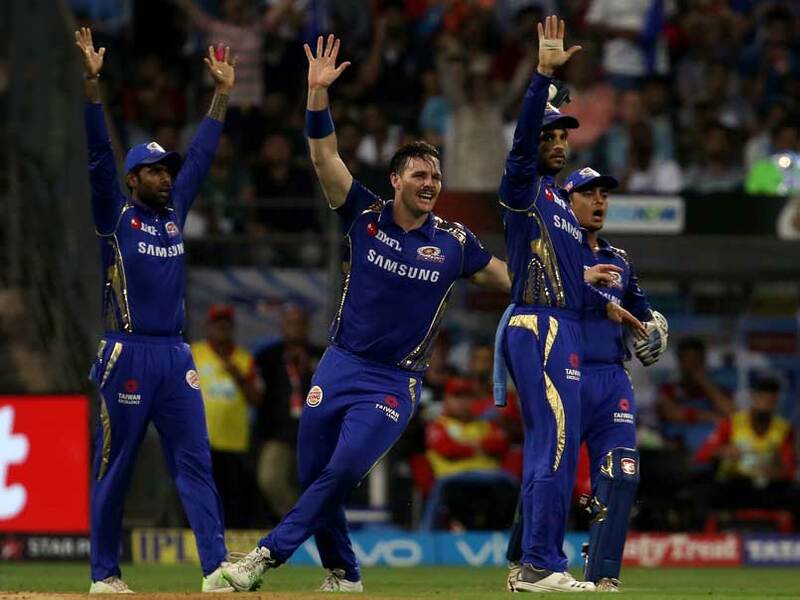 Mumbai Indians put up a massive total of 213 runs at a loss of 6 wickets in the first inning. 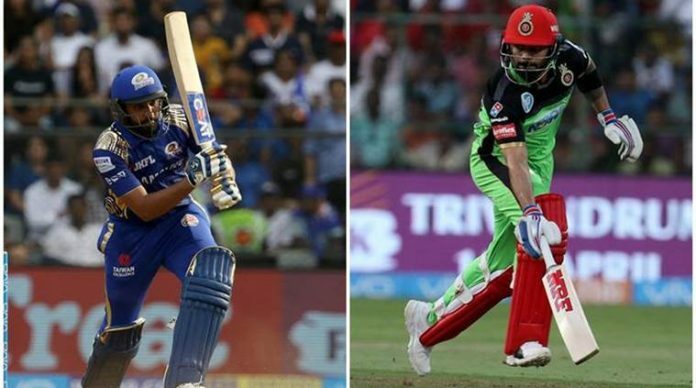 MI skipper Rohit Sharma accelerated 94 runs in just 52 balls whereas Evin Lewis scored 65 in 42 balls. Umesh Yadav and CJ Anderson took two wickets each for RCB. In response RCB could manage just 167 for 8 in 20 overs as no one except Kohli could score big for them. The RCB skipper managed an impressive 92 in 62 balls. Krunal Pandya took 3 wickets whereas Bumrah and McClenaghan managed 2 wickts each. 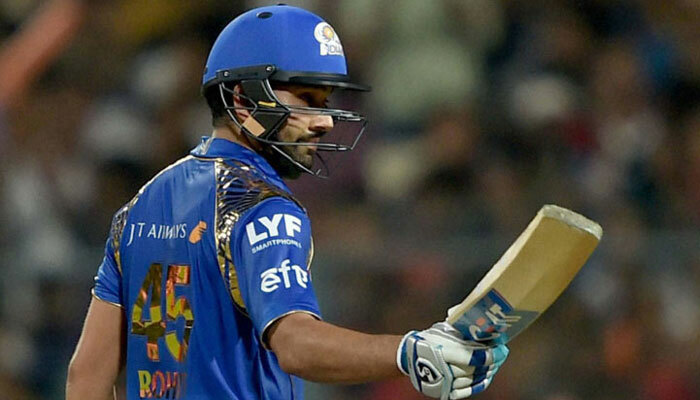 It was Mumbai Indians and skipper Rohit Sharma who stole the show on Tuesday night. Although RCB got to a dream start when their opening pacer Umesh Yadav picked up 2 wickets, Suryakumar Yadav and Ishan Kishan, in the first two balls of the match. However, Rohit Sharma and Evin Lewis with their aggressive batting helped MI to score massive 213 runs. Lewis scored 65 runs with the help of 6 fours and 5 sixes whereas Rohit scored 94. Rohit’s 10 fours and 5 sixes helped MI to put up a great total of 213 against RCB. Lewis departed in the 12th over whereas Rohit practically was there till the end of the match, being caught at the second last ball of the inning. Almost all the ballers of RCB were at the receiving end with majority of them ending up with ER of more than 10. Chasing the huge total of 214 runs, RCB managed to score 40 in first 4 overs. However McClenaghan managed to pick up 2 important wickets in the 5th over, Knock and De Villiers. Kohli played brilliantly scoring a massive unbeaten 92 of 62 balls, but unfortunately no other batsman was able to stay in the crease for a long time. None of the batman apart from the skipper could score more than 20, thus limiting the run score by RCB to 167. All the bowlers from Mumbai Indians could manage an economy rate of less than 8 except Rahman who proved to be expensive with no wickets. Krunal Pandya was impressive with 28-3. With this win, Mumbai Indians registered their first win in IPL 2018 and ran up the points table at no 6 with 2 points.